I purchased a new vodafone 3G connection and I choose to go with the best plan of Vodafone i.e. 1599 per month. They offered me for a discounted price of 1299 per month. I started using it in June end but was not getting the speed as promised. Once trying for 15 odd days and making some complains, I thought of downgrading the plan and opt for Airtel 4G instead and keep Vodafone for future use with a minimum rental. On 24th of June I downgraded the plan and got the confirmation by SMS as well as by call explaining to me the new plan details. In the next bill I see this. 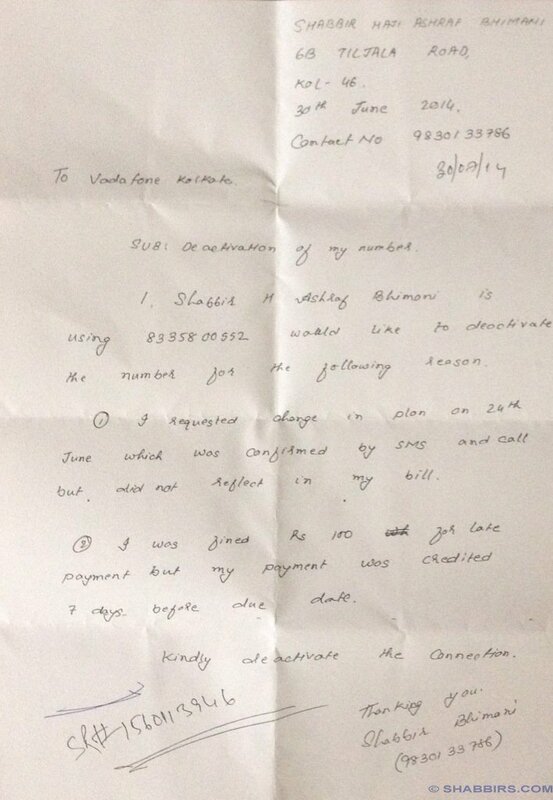 The change of plan was not effective and I was also fined 100 Rs as late payment fee. In the details of the bill on page 3 I see that I have paid on 3rd of July where as my due date was 14th of July. 11 days before the due date. Still a late payment charge. The next thing that I did was visited a Vodafone store nearby to understand why this happened. Here I had to wait for an hour and half to talk to Vodafone executive. Once I was on the help desk, I asked about the issue and he told me I have to pay the bill because my connection is new and not 90 days old and so they cannot reverse the charges. 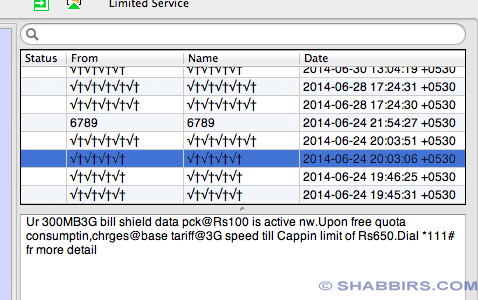 Not even the 100 Rs late payment fees though they can see that my payment was credited well before the due date. About the change of plan they told that such SMS can come but actually plan change is not effective. I should have visited the store. My payment was well within the time and still if you cannot reverse the late payment charges, why did I waste my hour and a half to get to the help deak? Then and there I just opted to cancel my account. 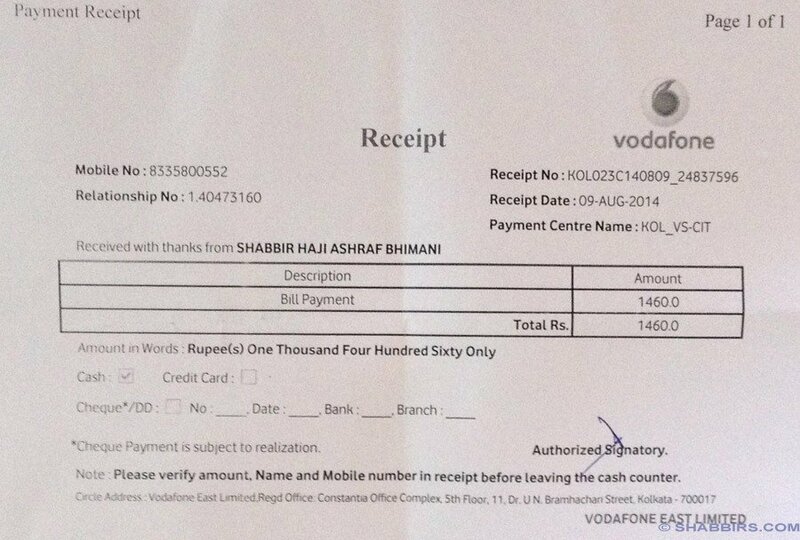 I tweeted about it and then online Vodafone executive took up the complain. Visited @vodafoneIN Store and it looks like their slogan should be Happy to Harass instead of Happy to Help. They reversed the late payment charges but then it was too late for me to be with them as a customer. They could have offered me a complete waiver because there has been no usage whatsoever in my account for the complete month and that may have made me feel good about it. 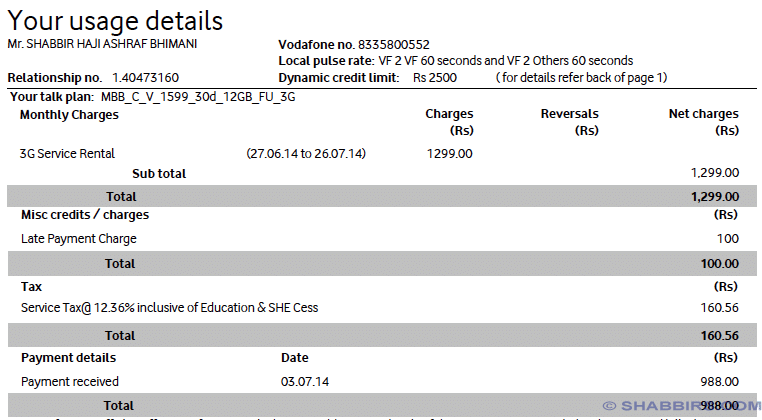 At 9th Aug 2014 at 10:45 AM I visited the Vodafone store to make the payment of Rs 1459 as I didn’t wanted to opt for online payment and fined again. To my surprise the person who takes cash was not available until 12PM. Looks like we are in 1990s dealing with some nationalized bank in India. At 4PM I visited again to make the payment again and there was link failure. Phew. I preferred waiting and made the payment at 4:15 PM. 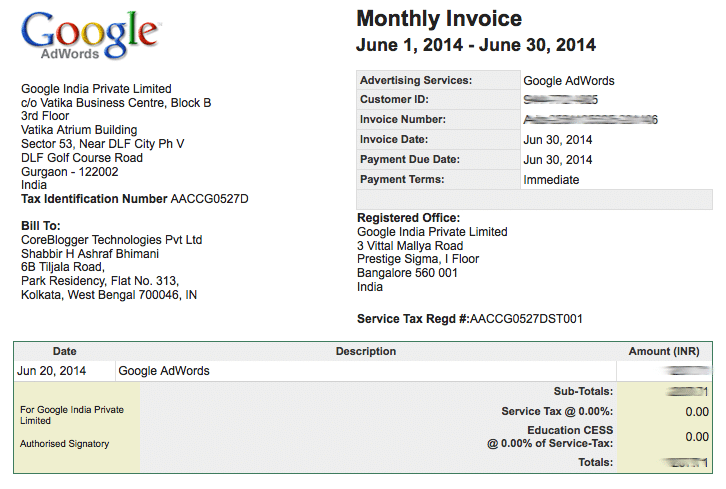 Here is the receipt of the same. Actually I always had issues with Vodafone and though my premium number was provided by Vodafone, I had moved it to reliance for bills issues only. I am using Reliance for 3 years now for one of the best plans that Reliance offer and the process is so smooth that I have opted for an ECS payment from my citibank credit card (How I manage my credit cards) for years now without any issues whatsoever. The tweet “Happy to Harass” is almost perfect but perfect tagline would be “ready to harass”. Do you think big companies like Vodafone care about a customer lost for life? Share your thoughts in comments below.